Early Retirement Myths Busted - Ignore These & Retire Early! The two myths above, along with many, many others, are things I often hear people say when they talk about retiring early. I mean, just think about it: Don't you want to retire early, so that you can have the financial freedom to do whatever you want to do? Whether you want to travel, continue working, spend more time with family, or whatever else, retiring early gives you the ability to choose. Sadly, there are many out there, who do not save enough money when preparing for retirement. According to Zacks Investment Research, 72% do not save enough for retirement each month. Also, according to a different survey done by Bankrate.com, 36% of people in the U.S. have absolutely nothing saved for retirement. While I have not retired early (yet! ), it is a goal of mine. Now, don’t get me wrong: I absolutely love life and my online business. However, I would rather be safe, because you never know what may happen later in life. As you know, I’m a worrier and I would much rather be safe than sorry. Something medically may occur, the industry may change, I may change, and so on. This is why others may want to reach early retirement (or financial independence) as well. Reaching early retirement may mean that you have the option to do what you want to do and not feel as bound by your financial situation. You can, therefore, feel free to seek whatever it is in life that you want to seek out. Now, I'm not going to automatically assume that extreme early retirement is for everyone. However, the majority of the population does not seem ready for retirement at any age, so to discount early retirees altogether just seems crazy to me. Below are several early retirement myths I have heard along with why I don't agree with them. Most of you know that this is a myth I despise. Just because you are saving for retirement aggressively doesn't mean you are eating Ramen noodles for breakfast, lunch, and dinner. However, this is a myth that is often associated with early retirement. There are plenty of ways to have frugal fun, eat on a budget, and so on. You can even see the world, while saving for early retirement, too. We currently live in our RV, while traveling North America (yes, I know that's not the world), and our budget is the lowest it has ever been. Yes, this is a myth I've heard as well. I would think that people would have a completely opposite view of those who aim for early retirement, but that doesn't seem to be the case. Those who strive for early retirement are not lazy. I believe early retirees are hard workers who want to live life on their own terms. I don't know how much fun the average person has while working, but I'm fairly positive that the average person is not in love with their job. Yet, I still hear this myth all the time. An early retiree isn't just going to sit around all day. Even if that's what they want to do, who cares?! That doesn't mean if you were to retire early that you have to be bored. You could volunteer, pursue a passion, find fun things to do, take up multiple hobbies, and more with all of the extra time you would have after retiring early. This is a huge myth. I spend all day with my husband, because we work from home, and I can tell you that I don't hate him (haha!). Plus, we even live in a small RV and I still don't hate him! If you do end up getting sick of spending 24/7 with your spouse, you can always find ways to have time to yourself. You could volunteer somewhere, do some solo traveling, go on a daily walk by yourself, and so on. This is a weird myth that I hear all the time about early retirees. Many like to assume that early retirees haven't thought about possible future expenses, such as from having children, health insurance costs rising, inflation, and more. However, if someone has planned for early retirement, why would they just skip over planning anything else? A person, who is planning for early retirement, is thinking about these things. While no one's calculations are going to be exactly correct down to the penny, it is possible to factor in possible future expenses. 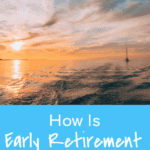 There are many people out there who don't believe that early retirement is possible. I believe this has a lot to do with how everyone thinks you should only save 5% of your income so that you can retire between the ages of 65 to 70. However, this is a huge problem, because many people aren't even saving that amount! Are you interested in early retirement? Why or why not? When do you think you'll retire? Great post! You can totally be frugal and still have fun, it drives me crazy when I hear people infer that you must not be living your life if you live frugally. There are many myths attached with early retirement. Early retirement is possible with good life ahead. If you plan for early retirement you must be aware of the financial consequences and sure about how much savings you have to sustain. Are you preparing for early retirement? P.S. For future comments, please leave your real name. I’ve just written about this! We’ve decided that although we still want financial freedom, chasing early retirement is no longer the focus. Mainly because we’d have to give up travelling overseas every year in order to save our big pot of cash to retire on. Instead, we are building a location independent business and my husband will likely work a traditional job when we are at home – perhaps taking 6-9 month contracts. This plan excites me as much as the initial idea of early retirement did, so I think it’s an acceptable alternative. That said, it is totally possible for people to retire early if they put their minds to it – and start young! The younger the better. I guess it’ll still be earlier than the traditional age – I’d like to be able to give up work completely if I want to when my youngest finishes high school, so perhaps mid-fifties. Haha 55 is awesome! We meet people all the time now that we’re RVing who have just retired at around age 55-60 and it’s so awesome! That’s still a lot earlier than the norm. I would love to hear more about your RV living. 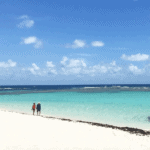 Do you have plans to post about your travels? I was skeptical about early retirement when I first heard about it, but now I love the idea of increasing our flexibility. And no one with the drive to retire early is going to stop being productive or creative for the rest of their life! #4 cracks me up. Seriously, I love my husband and yes there are times when we get sick of each other…but I don’t plan on sitting day after day just staring at him from across the kitchen table! We should be able to retire fairly early – in our mid 40s. I’m not sure we’ll quit working altogether, but it will be nice to have that option. I can see us scaling back our work and putting in part-time hours at a certain point. I don’t get it at all when people say retirement will be “boring.” I can think of a million fun ways to fill my days! Yes, same here. I don’t see myself ever not working, but I know that life can change things in an instant so I would much rather be prepared. Haha, I know! I don’t think I’ll be bored. I was the same way. It’s definitely hard to think about retirement when you have student loans. Great post! Sadly we haven’t really thought about retirement (and we’re already 30!). We’re more focused on getting out of debt (almost there!). I think a lot of myths come from people who either a) don’t want to work towards it and are finding excuses or b) trying to rationalize why they won’t work for it. I agree! These myth drives me crazy. The one I hear the most is definitely “I’d be so bored”. I don’t know why people think that retirement means you sit and do nothing all day! To me, it just means that I have options if I could retire early. I can work if I want or I can change jobs with less stress. I have the freedom to fill my time with meaningful activities! I’d love to retire early! Yes! It’s so weird. I was always extremely bored at my day job – now, that was BORING! We definitely want to do early retirement, in our case doing jobs that pay less but don’t have full-time commitments like a regular. As long as we can save money & pay for insurance, that’s the two big contingencies. We will be debt-free in 10 years when our house is paid off & hopefully can “retire” after that when we are both closer to 40. My father seems pretty bored. I wish he had a retirement job so he’d stop emailing so much. Volunteering and having a dog just don’t take enough of his time. I’m totally on board with financial independence, but I don’t see myself retiring any time soon. I like my job which is not boring. My husband likes his job which is also not boring. And I like financial remuneration and benefits and being able to pay to not do things I don’t enjoy. One of the benefits of having a high skilled job is that the quality of the jobs and availability of jobs is much higher. I agree with what you’re saying, but I think reaching financial freedom and early retirement is also great because you never know what may happen in the future. Plus, you can always continue working. Great post packed with truth! With the value of compound interest + time anyone can retire wealthy. Retiring early means choices and thus freedom. It’s hard to object to either of those! Would like some insight about early retirement and defined benefit pension plans. I feel lucky to have a pension but feel like I am stuck working until 62 just to collect it. I am looking at 17 years of toil when I would rather opt for beach life. Maybe we need to change the term from ‘early retirement’ to… I don’t know, dream fulfillment or something similar that focuses on what you’re actually doing? So many people picture retirement as spending your day pottering around looking for things to fill the time rather than getting out there and doing what you’ve always wanted to do. Yes! When do you think you’ll retire? Well… I’ve already missed the ‘early’ bit but I’m working on semi-retirement which is what it feels like now that I’m working on my own projects rather than someone else’s. I don’t know that I’ll ever truly retire as I think I’ll always want to be doing something that adds value to the world – mine and others’. It’s all about mindset, I guess. I absolutely can not wait for an early retirement if possible. Unfortunately I have about 35 more years to go. A retiree gave me a good piece of advice to stay active before and after retiring. The health and mental benefits from exercising keeps the mind sane and away from early alzheimers! Is there any chance you could retire earlier? I don’t believe there would be a chance. I definitely did not invest enough in my retirement plans when I jumped to self-employment. Maybe that’d be a post idea? I love to know how you are savings towards your retirement plans when you started blogging full time. Thanks! Weird, I’ve never heard the “early retirees are lazy” or that they don’t plan for the future. Those are ludicrous based on the very premise of early retirement. You have to work hard, and you’re *planning* to save enough money to not have to work. So… whaaaaa? Early retirement isn’t really for me, even if it were a possibility. Given our expenses, even with our healthy income, we simply can’t put away enough. It’s going to be a struggle to retire at all. That said, I am one of those people who does think she’d be bored in early retirement. We can’t travel all that much because of health issues, and I’ve been on disability: There are a lot of hours to fill each day. Still, getting rid of the stress of work definitely makes it an appealing concept! While I don’t really believe any of these myths because of my long involvement with the PF blogosphere, I do think I come closest to believing 1 and 3 for myself and my husband, which is a bit why I’m not pursuing (particularly) early retirement. We’ve found work that we enjoy, even if it doesn’t pay six figures or more, and I think we’ll be happy doing it or some other kind of work for quite a while. The boredom argument is why I prefer the term financial independence to early retirement because really you can continue to work if you want to after you don’t need to work any longer. Also, I think we just want a rather expensive life (home ownership in a high cost of living area, kids, middle class lifestyle)! Some time ago I wrote about why I wasn’t pursuing early retirement (http://evolvingpf.com/2013/06/early-retirement-isnt-for-us/), and one of my commenters corrected me in a way I really liked. He said I AM pursuing financial independence, but I’m just doing it on my own terms instead of the common terms you read on the PF blogosphere. 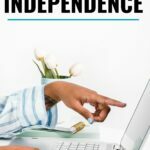 Financial independence will occur for us at some point, but we’re not spending a lot of time concentrating on when it will be or hurrying the date. I love how people think you’re lazy if you don’t work 40+ hours per week until age 65. If I quit work for good tomorrow, I can think of a ton of ways to spend my time, none of which involve laziness. I think we could go all in and retire in a few years, but in all reality, we will probably work another 10 years or so. Everyone tells me you’ll want to keep working until your kid(s) are finished with college, but that also might just be another myth that needs to be busted. Yeah, I don’t get the lazy myth at all. Maybe those people ain’t lazy, but they want to have more time for enjoying their life. I also the same to those people, before..
You know..? I used to be a jobless for almost 3 years, but I own my income from blogging… I don’t to work, but just getup at 9am and enjoy my time at coffee shop. Life so routine to me, I don’t have much works are wait for me but blogging. I feel like I’m being a lazy person. I started my again last as Human resource Manager, and I found that life is better. I meet lots of people who are my coworkers. They made me smile almost all the time..
Haha, I love blogging, though! I retired on my 50th birthday and have zero regrets (I just turned 60 so it’s been 10 years)! I am going to retire early and have a blast! Cant wait! I do agree that the term “retirement” needs a facelift. Financially free has a much more positive effect on it as it implies being able to do whatever you want which is pretty much retirement if done properly. Yes, I like that term more too! 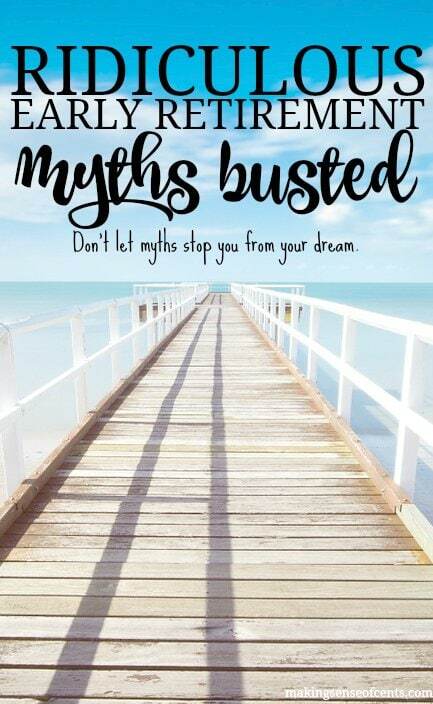 I think people who believe these myths are simply jealous, or they know they will never be able to retire so the have a need to justify why they can’t. My husband and I retired together at age 55 and 53 respectively, 10 years ago and have never regretted it for an instant. When we retired people said “but you’re so young” to which I replied, “that’s the whole point. Great post. I can’t believe there are people who would ever see early retirement as something they don’t want. That’s crazy to me in itself, because to me it’s the difference between having to work and working if you want to. Once you retire it doesn’t mean you can never ever work again!! I’d love to be done with the grind, but pretty sure I’m not on the path for that and will probably be working into my 70’s. Boo hoo!!!!! Yeah, I think it’s crazy too! Those are really myths. Retirement is for those financially responsible people out there and for those who aim high and know what they’re doing in their lives. I hope I can retire earlier, Michelle. Perhaps financial freedom or financial independence would be a more captivating term instead of early retirement? I totally agree with everything you said. I just think that most people don’t even think about a)saving for retirement and b)believing they can retire early. I think a shift in mindset can really change people’s beliefs about those myths and empower them to achieve financial independence. Retirement is not only for people who worked 30 or 40 year careers but also for people who ran their own businesses. Retirement has no age cap on it. I tried early retirement for one year and the isolation was too much to bear. Plus, going from 100 to 0 was very hard to get used too…I realized that I just needed to pursue on interest based work..on my own terms! I’ve heard all of these myths from either current retirees or those planning for early retirement. At the end of the day, retirement should afford you the time to do what YOU want. That’s the beauty of it. So for all of the concerns or reservations about what’s on the other side… you’ll have the time and availability to determine what you want to do each and every day! “The point is just to beat the “norm.” <—- I respectfully disagree. The point is to do what allows you to get the most enjoyment out of life. Even if I achieved total financial freedom by saving, winning the lottery, or whatever…..I'd show up for work the next day. Why? Because I absolutely LOVE my career. If I quit my job, I'd be looking for something cutting edge in the technology field that stimulates my brain. OR….I could just not quit my job! We’re still paying off debt, so retirement isn’t in the near-future. To me, early retirement simly means freedom and flexibility, and that sounds pretty darn appealing! God what I wouldn’t give for an early retirement lol. But at the same time I know that I might be okay pushing my retirement if I was more happy with my job. I know a lot of people save traveling the world for when they’re older but I want to be able to go and see everything while I’m young! 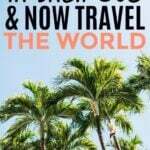 If you’re shelling out a couple thousand dollars to travel how are you supposed to retire early? What most people don’t realize is that retirement is not a case of “sit at home and get bored”. It’s a case of being able to pursue the interests, hobbies and activities that you wish to without having a noose around your neck that ties you to a regular 9 to 5 job. I spent over 30 years in my own financial planning business – with a strong focus on retirement planning before I started to blog about it and it’s saddening to see the sheer plethora of misguided information on the internet. I wish more people would see the benefit of an online business as a means to build serious passive income streams, which could supplement one’s retirement savings, enabling people to start enjoying a rich life an retirement.